The world can be cruel for children born with cleft lip and palate, a type of congenital facial abnormality. Such was the case of Jhoanna who experienced being the object of ridicule in school due to her condition. The young girl's mother often fought with neighbors in defense of her daughter's cleft. Born to an impoverished family, an operation to correct her condition seemed to be a far-fetched dream. But Jhoanna's ordeal was finally put to an end upon receiving a free cleft lip surgery thanks to Philippine Band of Mercy, one of the partners of SMILE TRAIN in the Philippines. 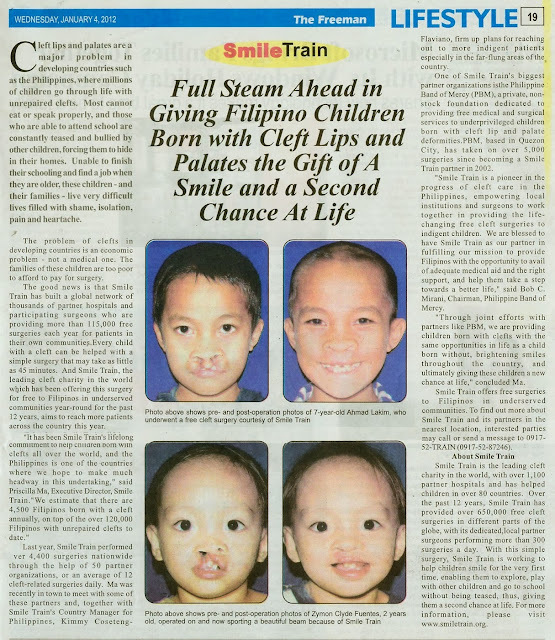 Jhoanna is truly a living testimony that there is hope for children born with cleft lip and palate. With Smile Train, such physical abnormality would never again hinder anyone from beaming oh-so-brightly to the whole wide world. Ride on the Smile Train! 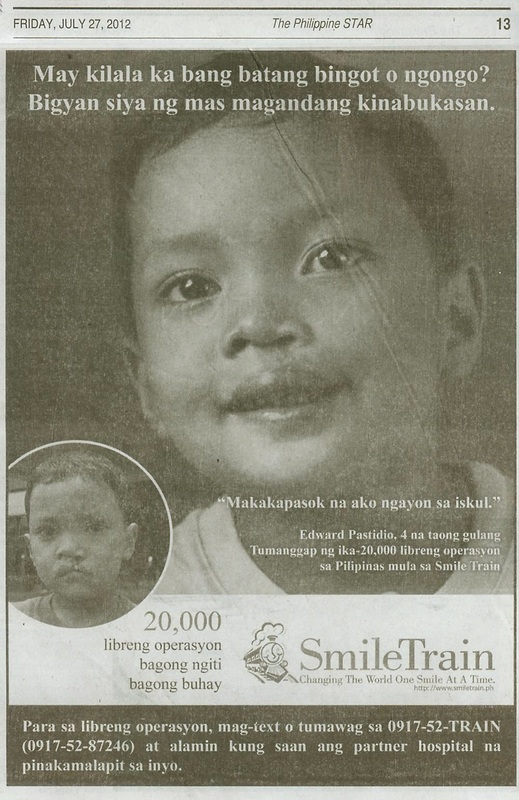 If you know anyone in the Philippines in need of FREE cleft lip and palate surgery, contact Smile Train Philippines by calling or sending a message to 0917-52-TRAIN (0917-52-87246).